In this chapter, we present a materials design principle which is based on the use of segmented, rather than monolithic, structures consisting of identical blocks locked within the assembly by virtue of their special geometry and mutual arrangement. First, a brief history of the concept of topological interlocking materials and structures is presented and current trends in research are outlined. Recent work of the authors and colleagues directed at the variation of the shape of interlockable building blocks and the mechanical performance of structures—either assembled from them or 3D printed—are overviewed. Special emphasis is put on materials responsive to external stimuli. 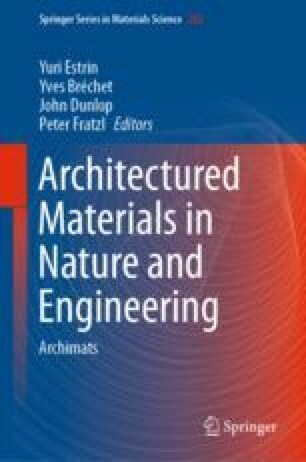 Finally, an outlook to possible new designs of topological interlocking materials and their engineering applications is given.